With food and drink specials during Cardinal games, daily drink specials and a large menu, the Ballwin/Twin Oaks location of Krieger's Sports Grill features a lively pub atmosphere in a family-friendly setting. 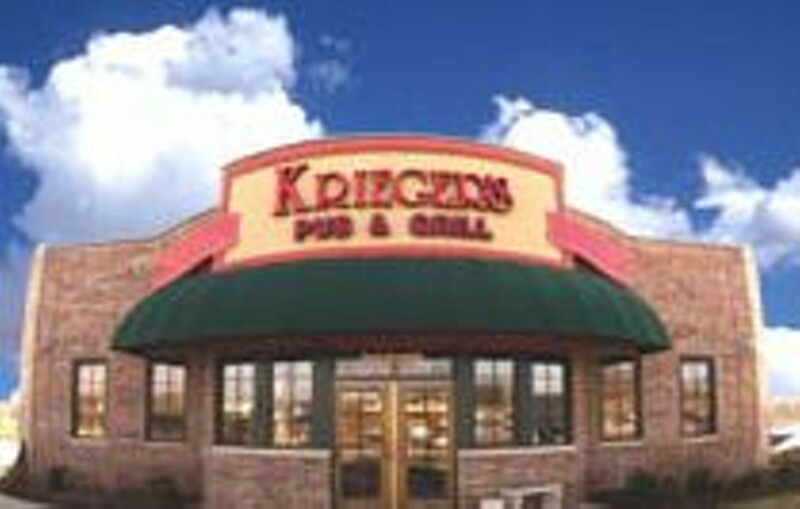 The menu at Krieger's focuses on traditional American pub grub, with appetizers, salads, sandwiches, burgers, pizzas and entrées rounding out the fare. Burgers come with a bottomless basket of seasoned fries and can be ordered as a half-pound hamburger or turkey burger, six-ounce. bison burger or a veggie burger, all with different cheeses and fixings available. Sandwiches include a Buffalo chicken wrap, sirloin-steak sandwich topped with Provel and a meatball Parm. The pizzas at Krieger's are thin and crispy St. Louis-style, covered in Provel, or mozzarella upon request, and topped with any of the typical toppings. Entrées include pastas, fish, chicken and steak meals, such as beer-battered fish and chips, a flatiron steak and a chicken enchilada. A kids' menu with several options is also available, and kids eat free on Tuesdays with the purchase of an adult meal. shredded iceberg and romaine lettuce, shredded cheddar and provel cheese, roasted corn, black beans, and roasted red peppers tossed with our southwest ranch dressing. served with tortilla chips and topped with sliced blackened grilled chicken. 10 oz. burger stuffed with bacon and cheddar cheese.